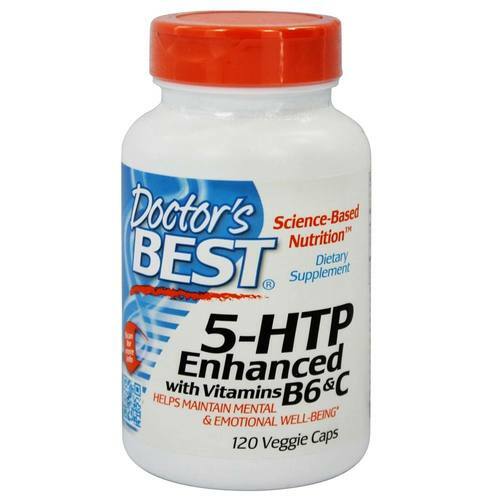 The 5-HTP Enhanced with Vitamin B6 and C from Doctor's Best contains only the ingredients listed and nothing more. 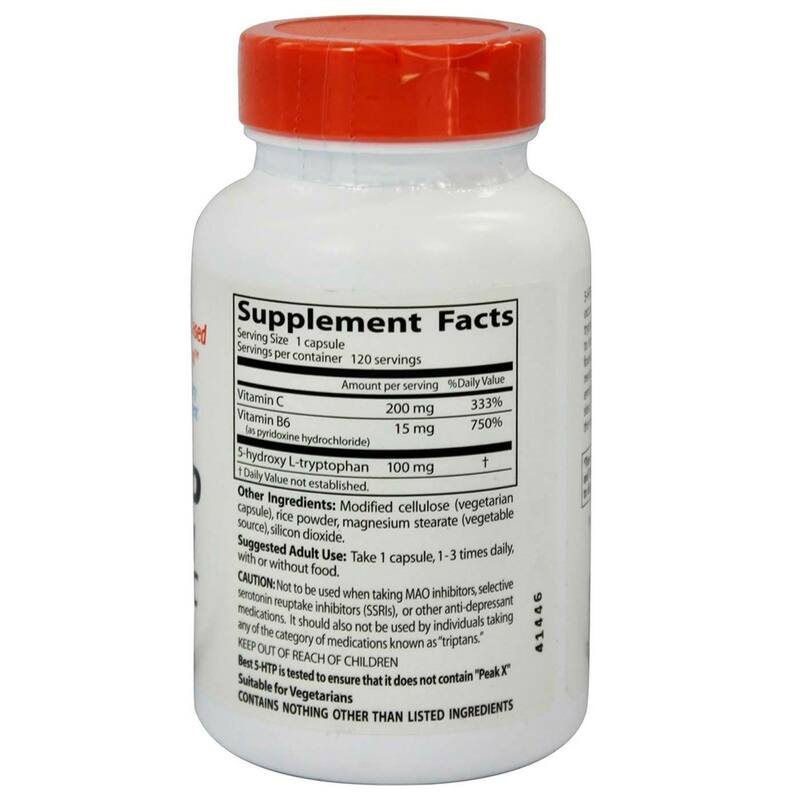 Warnings: Oral administration of 5-HTP in clinical studies has resulted in gastrointestinal disturbances such as nausea, vomiting and diarrhea. According to a review of several studies, these effects are tolerated by most patients and tend to lessen over time. Side effects are more marked with higher doses. 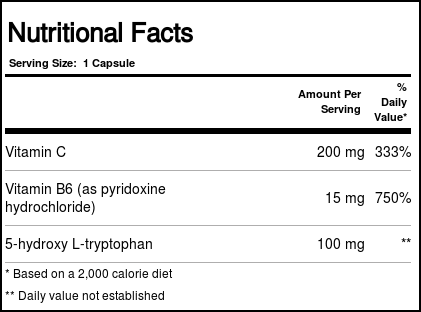 A recent review in a toxicology journal concludes that while undue speculation was raised years ago, “there is no evidence to implement 5-HTP intake as a cause of any illness.” Not to be used when taking MAO inhibitors, selective serotonin reuptake inhibitors (SSRIs), or other anti-depressant medications. It should also not be used by individuals taking any of the category of medications know as "triptans." Keep out of reach of children. Recommended Use: One capsule, one to three times daily, with or without food. The customer reviews posted below are based on individual consumer experiences and may NOT necessarily represent what expected results will be from using or taking Doctor's Best 5-HTP Enhanced with Vitamin B6 and C - 100 mg - 120 Veggie Capsules. These results may not be typical and you should not necessarily expect to receive the same results. Actual results may vary. Very good! Great benefits for your mind. Relaxation, calm and tranquility. Relieves depression. This brand is very good. Correct dosing. 5 stars! Wonderful product, really felt very good after taking, controlled stress. I felt very "zen" with this supplement, I recommend it.